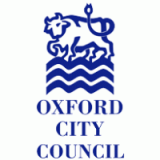 We could not be more delighted to have been selected by Oxford City Council's panel of young people and officers to recieve a generous Youth Ambition grant towards the running of our unique Launchpad project. Run on a Monday evening, this project gives the young adults who attend the opportunity to access a social life as independent and as fulfilling as those enjoyed by their non-disabled peers. Usually a first step towards socialising independently, using public transport, accessing mainstream venues such as the pub and music gigs, going speedating - this project is essential in supporting these young adults to grab life by the horns, rather than be isolated, stuck at home, and dependent on families and carers. It also provides an introduction to our training and employment opportunities, and respite breaks, and helps members and their families to aim and plan high for the future.